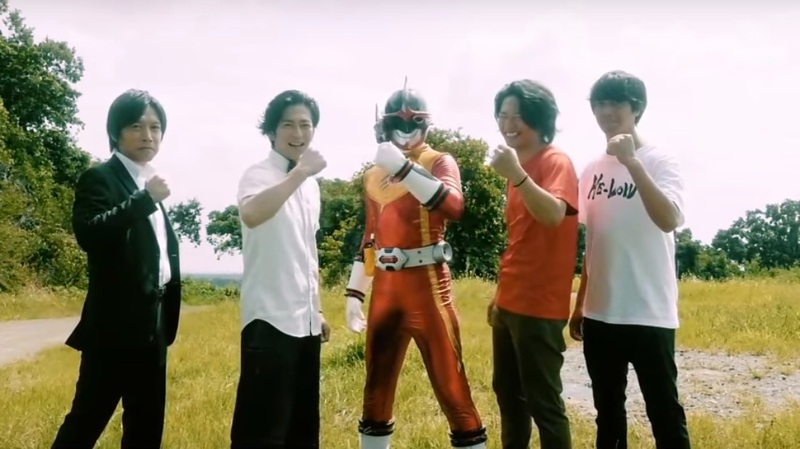 Check-out this minute long trailer for Hassei Takano's (Ultraman Agul, Kamen Rider Raia, Kamen Rider Nigo) upcoming all-star cast superhero film starring Takaya Aoyagi (Jagulas Juggler) as Go Go Red with music from Jam Project! The movie also stars Takeshi Yoshioka (Ultraman Gaia), Kenji Ohba (Space Sheriff Gavan), Takashi Hagino (Changerion, Kamen Rider Ouja), Takamasa Suga (Kamen Rider Ryuki) and Ban Daisuke (Kikaider). The movie is set to premiere this year.